2. 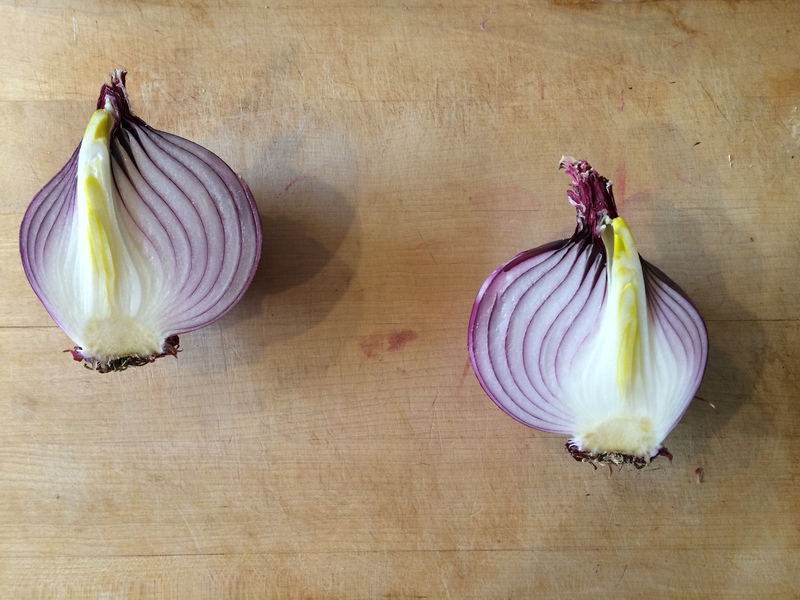 Cut the onion in half, lengthwise. 3. Beginning at the right side of the onion and working toward the left, make radial slices that cut through the onion nearly all the way. 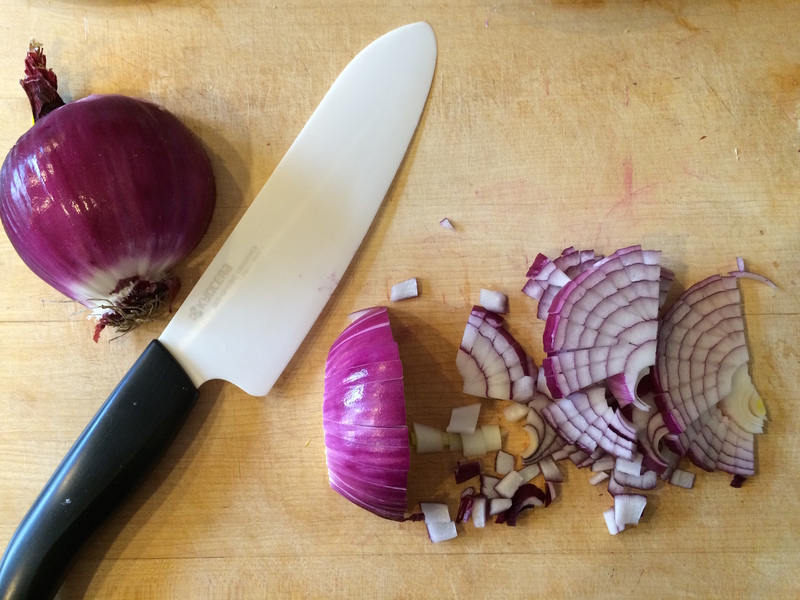 Start your knife nearly parallel to the cutting board and decrease the angle of your knife with each successive cut until it reaches 90 degrees (perpendicular to the cutting board) at the mid point of the onion. 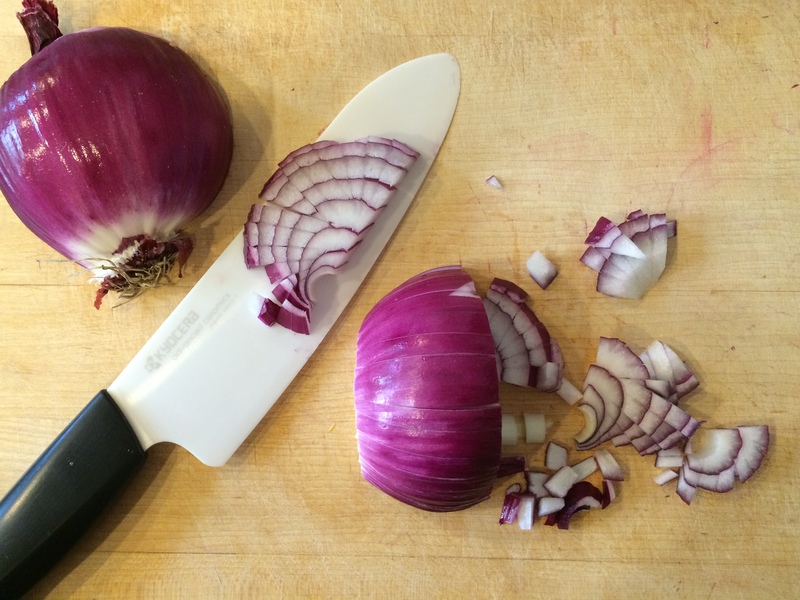 Then increase the angle again with each cut as you approach the opposite end of the onion. 4. Cut off the root and the tip. 5. Rotate each half 90 degrees. Starting at the root end of the onion, and working toward the tip, make cuts all the way through the onion at a 90 degree angle to the cutting board. Et voila! 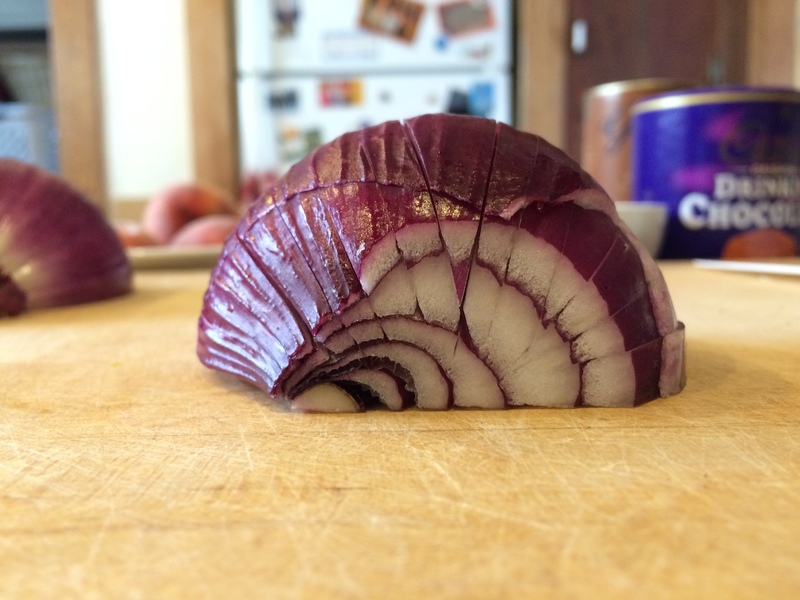 A perfectly diced onion. 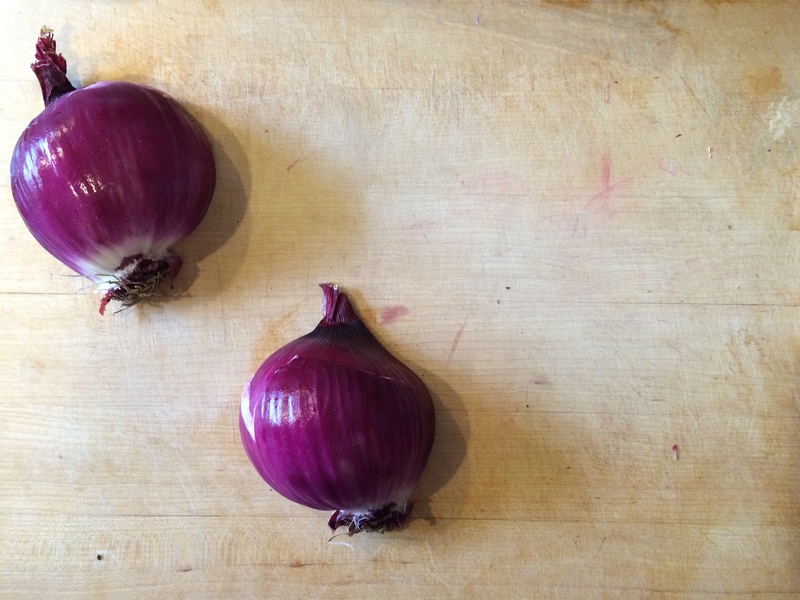 Pro Tip: I always store my onions in the refrigerator, to reduce tears. What’s your favorite kitchen trick? P.S. Freezing persimmons and French Onion Soup.